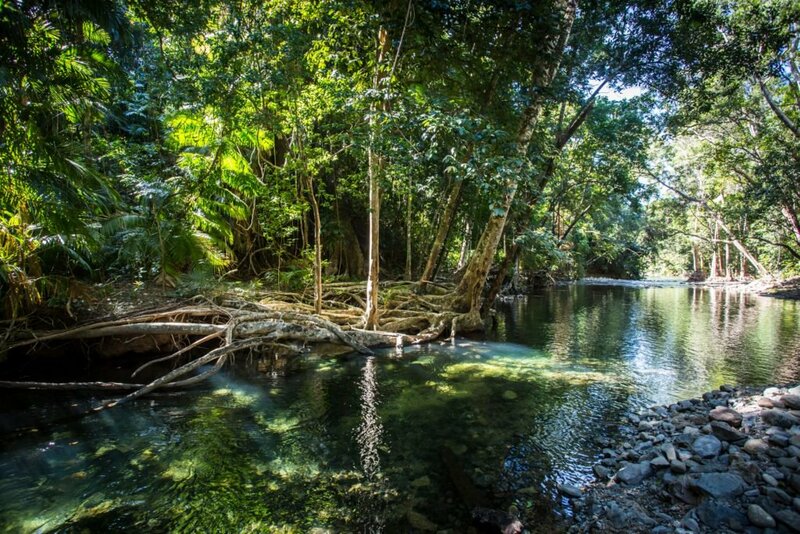 From rainforests, to coral reefs to mangrove wetlands – on this tour students will explore Cairns’ diverse eco-systems and participate in a range of activities that assist with environmental conservation. They’ll also have the opportunity to visit the Tjapukai Cultural Park, wildlife sanctuaries and participate in community service projects that benefit the greater Cairns community. Snorkelling With full use of snorkel gear for the day, you can walk right into the water to explore the magnificent reef system that surrounds the island. Just offshore a kaleidoscope of marine life beckons to be discovered: colourful corals, parrot and lionfish, turtles, cuttle fish, rays and giant clams. Palm Cove Beach One of the best beaches of Cairns in Australia. You will find a postcard views with palm trees ashore, while there is a swimming net in the water. Remember that you should not swim outside the net, as local open water is full of dangerous creatures. Mossman Gorge Centre View the Indigenous contemporary Art Gallery where Arts and Crafts from the local Kuku Yalanji artists are show-cased here and explore the Gift Shop. Thank you for your interest in our WorldStrides Cairns Environmental Service Learning Tour Tour! Please tell us a little more about yourself so we can get you sent to the right place.